When I spotted this bedside vignette at The Cross Decor & Design, I couldn’t help but sigh, “Ahhhhhhh.” Everything in the room suggests that it is a place to relax and unwind from the cares of the day. 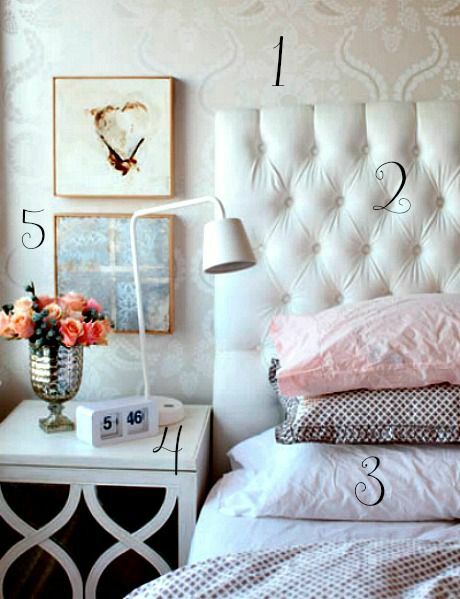 If you are trying to create a bedroom sanctuary of your own, start here for inspiration. I’ve collected five great ideas from around blogland that will help you get this look for less.